Aluminium glazing bar complete with aluminium base, PVCu cap and end cap suitable for use with 25mm polycarbonate sheet. Available with white or brown capping in 3m, 4m and 6m lengths. Suitable for use with 25mm Corotherm multiwall polycarbonate glazing sheets. 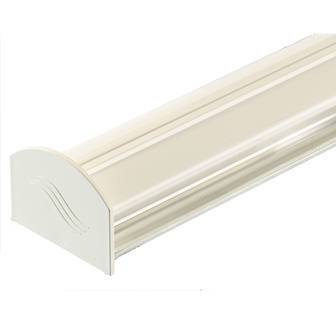 This aluminium glazing bar comes complete with PVCu cap and end cap and will firmly hold the polycarbonate in place along a timber rafter support. Available with either white or brown capping in 3m, 4m and 6m lengths.